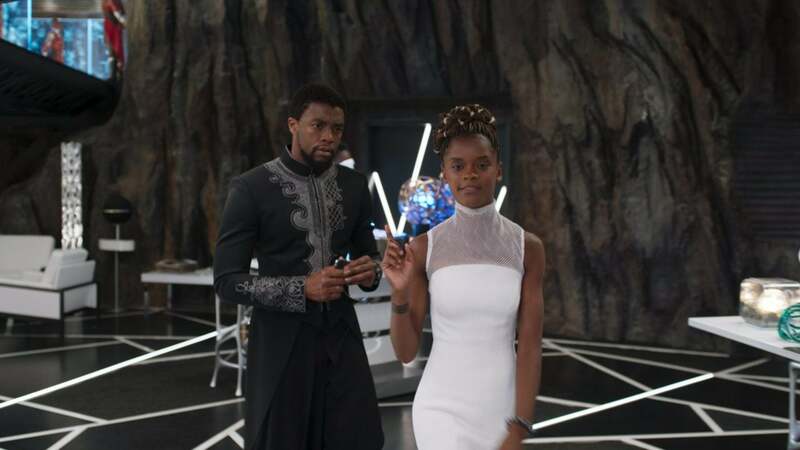 It seems moviegoers still can’t get enough of Wakanda, as Marvel Studios’ latest effort, Black Panther, ruled the box office once again for the fifth weekend in a row, making it just the third picture in 19 years to spend that much time in the top spot. Ryan Coogler’s superhero epic added another $27 million over the weekend, edging out Warner Brothers’ Tomb Raider reboot. Despite fears that Black Panther wouldn’t play in other parts of the world, the film has made $1.182 billion globally, including opening as the number one film in many Asian countries. Here in the U.S., the film has raked in over $600 million, making it the seventh highest-grossing film in American history. While most films see a significant drop off after they’re released, Black Panther has beaten the odds and continues to draw in support from fans, who’ve seen the film multiple times. In the last two decades, only 1999’s The Sixth Sense and 2009’s Avatar have ruled the box office for five straight weeks, putting Black Panther in great cinematic company. Marvel Studios hopes to continue to capitalize on the popularity of Black Panther, the fifth film to earn over a billion dollars in its franchise, with a new comic book series focusing on Wakanda’s fierce female fighting force, the Dora Milaje, and Avengers: Infinity War, which hits theaters next month. And of course, Marvel is already working on a Black Panther sequel.